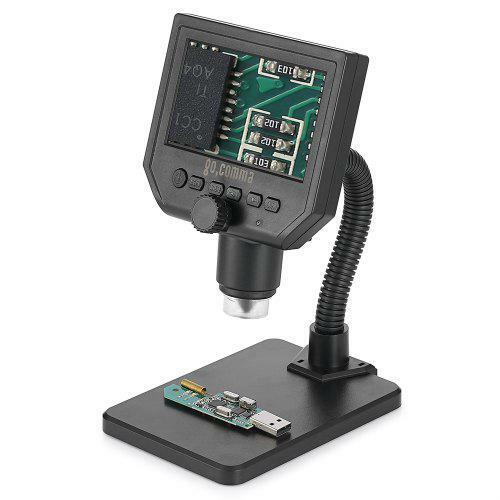 Gocomma G600 10X – 600X 3.6MP 4.3 inch HD LCD Microscope is a well-designed multifunctional digital microscope, curve tube bracket and aluminum alloy bracket available. The professional microscopic lens helps you to see tiny objects easily. Can be widely used for mobile phone maintenance, QC inspection, education purpose inspection, industrial inspection, print industrial, jewelry collections, textile industrial and biological inspection.